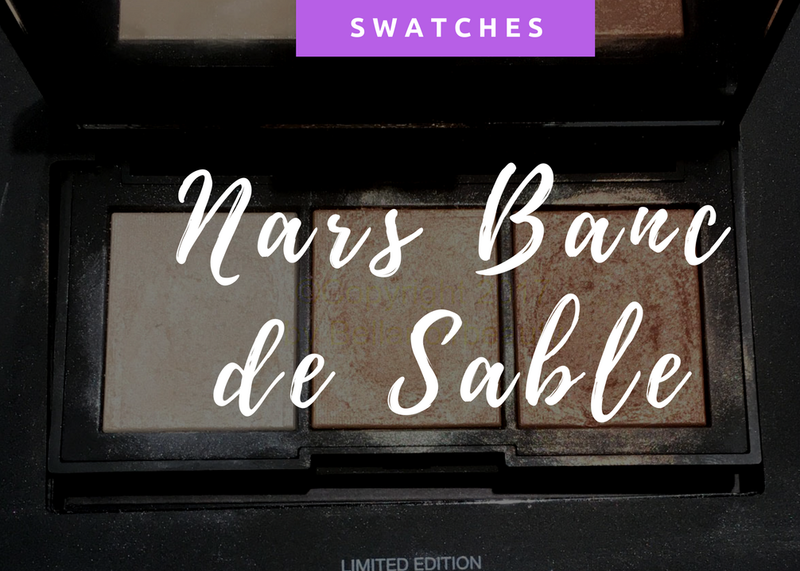 I recently took a gander in Sephora and saw the highly talked about Nars Banc de Sable highlighter palette ($49.00). Apparently, Banc de Sable is translated as "sand bank" which is really surprising because I thought it was going to be something more provocative. Nonetheless, here are the swatches! Nars describes this as a highlighting palette that can be used wet or dry for a sheer or supernatural glow. The powders swatch pretty opaque but can be sheered out. The powders are quite visible and contain visible specks of glitter.